Another great workshop held by MzTek, this time making RFID etextiles with a little help from Liliypad Arduino. 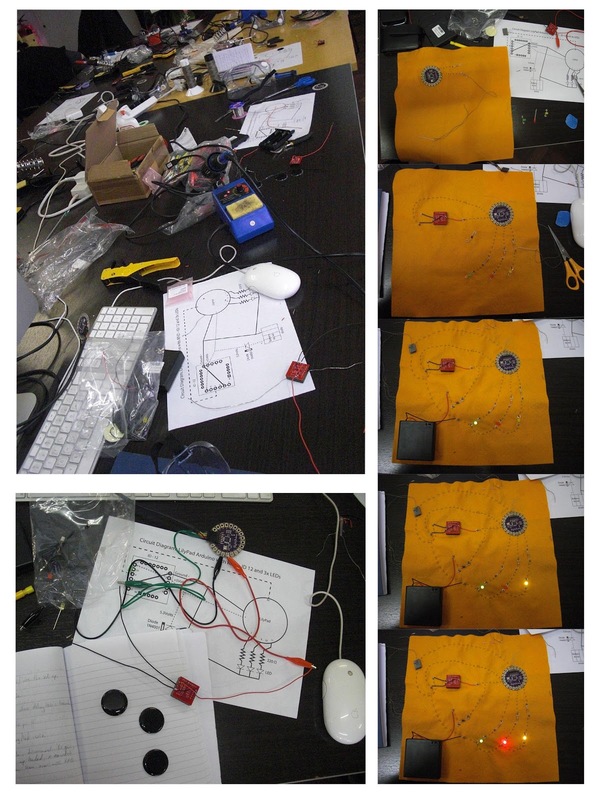 The workshop was held at SPACE Mare Street, London and bought together 15 (or so) participants all interested in and keen enthusiasts of electronic textiles, technology and sewing! An overall fantastic event that helped to learn more about Arduino and broadened other potential applications with the same technology. Many thanks MzTek!